Prominent & Leading Manufacturer from Vadodara, we offer strap machine, low table strapping machine, strapping machine, carton packing machine, semi automatic strapping machine and strapping machine for pp strap. We have uniquely positioned ourselves as a dependable firm, engaged in manufacturing, exporting, importing trading and supplying Low Table Strapping Machine. 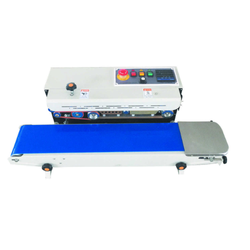 The given strapping machines have one touch and easy operation. 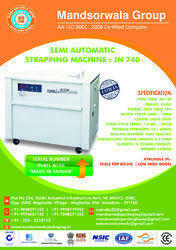 Offered strapping machines are manufactured by utilizing finest material, powered by guidance our experts. Moreover, we offer these strapping machines by after checking on numerous parameters so as to deliver a perfect range to customers. 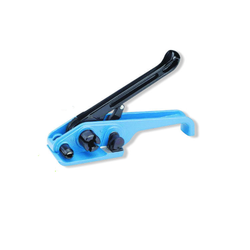 We offer Strapping Machine having following features. We have uniquely positioned ourselves as a dependable firm, engaged in manufacturing, exporting, importing trading and supplying Carton Packing Machine. Use for packing cartons & widely demanded in packaging industries; offered packing machine is manufactured from the leading techniques and high grade material in accordance with the set norms. 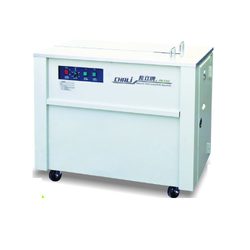 This packing machine is stringently tested on diverse parameters in order to assure its flawlessness. 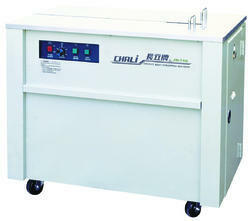 Customers can avail this sealing machine from us in different specifications within a given time frame. 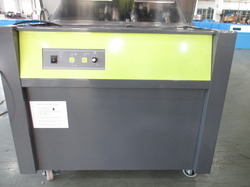 Heavy-duty model suitable for continuous application area like Airports, Tiles, Meat processing units, Newspaper unit's etc. Packaging Details: IT IS USED FOR INDUSTRIAL BOX PACKAGING PURPOSE. Backed by constant support of skilled and experienced professionals, we are able to provide high quality Strapping Machine for PP Strap. 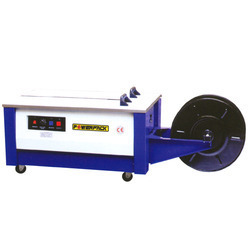 This strapping machine is manufactured by high-grade factor inputs and contemporary techniques keeping in mind the set norms. 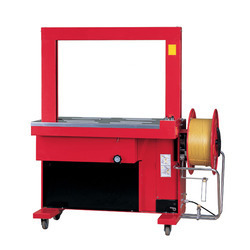 We offer this strapping machine in numerous specifications to meet ever-evolving needs of our customers. 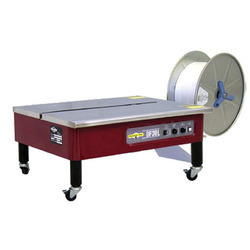 In addition, our strapping machine is well known among customers for its longer service life and excellent finish. 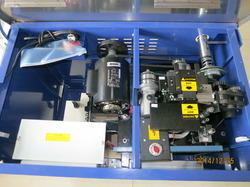 Our firm is involved in manufacturing and supplying a huge range of Tapping Machine. - Stable quality, durable material, and easy maintenance. Special design-Control PP strap cooling time. It can make the PP strap to fasten well at any time. - Durable electro-magnetic clutch transmission means lesser mechanical wear and noise pollution. New heater plate design improves warm-up-time, welding speed and increase work efficiency. 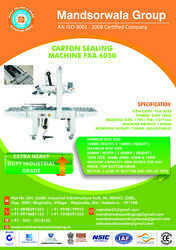 Functions Tensioning, sealing & cutting.